Discover how we act every day for a better environment. The disinfection of water is assured by a system of electrolysis that is transforming the salt into natural chlorine without scent, and doesn’t irritate the skin and mucous membranes and that doesn’t create allergies. This principle rest on a perpetual cycle because the salt that was transformed into chlorine will re-transformed in salt and so on. Giving a “second life” to our wastes. We are separating and getting back our wastes depending of the nature. This has as a goal to give them a “second life”, mostly by reuse and recycling, as a result to reduce the ecologic imprint. Limit the quantity of our household garbage and so the cost of their treatment. Preserving our environment and the one of our children by avoiding pollutions by limiting the filling from storage bay and by saving our natural resources (trees, petrol, sand…) whose quantities are limited on Earth. An environmentally responsible action for the preservation of the environment. For the preservation of the environment we are using biologic activators with natural origin ingredients, which assure an optimal working of our pits by activating the natural process of degradation, allowing a better clarification of wastewaters before the return into the environment thanks to the treatment package. Organic substance are then damaged faster, the mud volume decrease and allow then to limit draining which represent a positive impact with the environment because there is less transportation toward the treatment center. We set up a replacement program of our light bulbs by new technologies with great environmental performances. 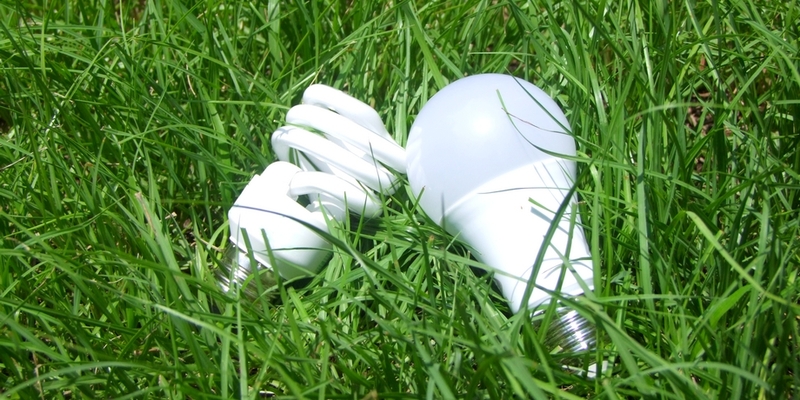 Enhanced efficiency to produce light and a long life, so we reduce the number of bulbs and wasted energy.